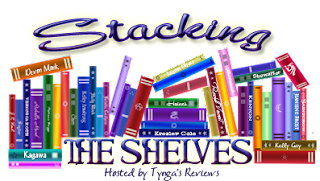 It's been a while since we last did a Stacking the Shelves post, so we've got a few books to share this week. Thanks to Michael Diack, Clare Marshall, and Ally Malinenko! Great book haul! Enjoy the books you got. They look awesome! Thanks! We're looking forward to reading them! Thanks! I'm excited to read both! oh how cute you have little hello Kitty's in the picture. Sorry I have a thing for Hello Kittys. The books all look amazing. Come visit me as well. I love Hello Kitty, too! I can't even begin to calculate how much money I've spent on HK merchandise over the years, lol. great book hual, Super jealus of Ten and where she went. It was really bugging me that I owned If I Stay but not Where She Went, so I just had to fix that. I've wanted to read Angelfall for a while, but it was previously only available as an eBook. I was super happy to see it come out in paperback. Where She Went was amazing. I borrowed it from the library a while back and loved it so much that I had to own a copy. I can't wait to read Ten! I've been waiting for it for ages! 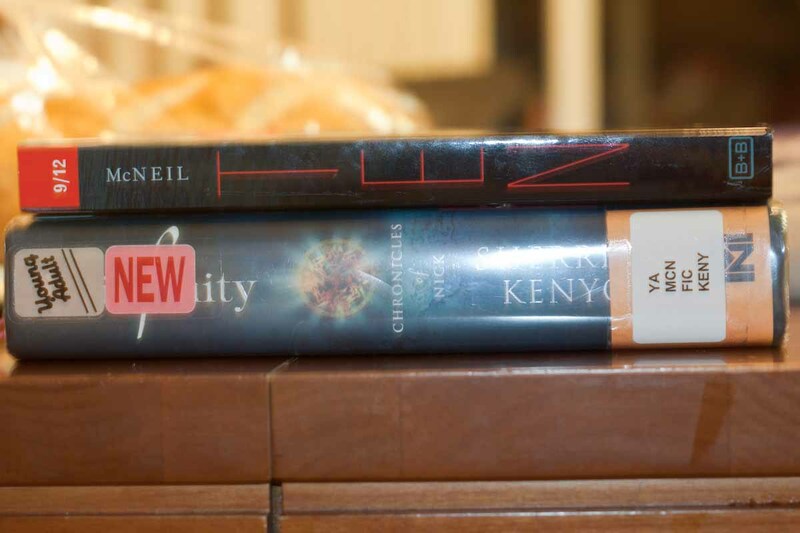 Ten is on my TBR list, too. The premise sounds great! Great books! You got Ten?? I want to read that so badly! New Follower! I want to read it, too; I'm going to have to ask Ally if I can borrow it after she's read it. Awesoma hauls :) !! I've been wanting to read Infinity for a while but still haven't picked up a copy .. I look forward to read your review on this one Ally. Slammed sounds pretty good !! I look forward to know what you think of it Lee !! Slammed is another book that I've really wanted to read but was only available as an eBook until recently. I've seen a lot of great reviews for it, so I can't wait to read it! I've heard the same. I'm glad to finally be able to read it! I really need to get my hands on "Where she went"! It is such a great book! Definitely one of my favorite reads this year. I'm enjoying The Super Spud Trilogy; it's definitely a unique read! I really like the humor and all of the pop culture references. I've really got to read Croak. Ally gave me the rundown after she read it, and it sounds like my kind of book, especially the humor. Ten sounds like such an intriguing read. I'm eager to see what Ally thinks of it. I loved Where She Went! 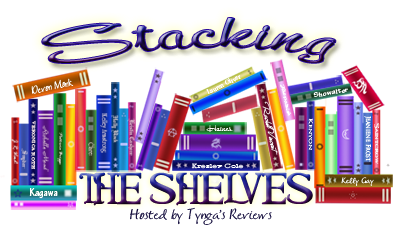 I got to read it back-to-back with If I Stay, which I also loved. Both books are just so brilliantly written. Chronicles of Nick is beyond AWESOME! I hope you'll love it as much as I did. I've read all three books and really enjoyed them. I love Nick's sarcasm! Nice haul! I can't wait to read Ten, I've heard amazing things about it! Ten sounds like a great thriller. I haven't read many books in that genre, so I'm quite interested to read this. I haven't read Looking for Alibrandi yet, but I'm really, really looking forward to doing so! It was the only Melina Marchetta book that I didn't own (impatiently waiting until early next year for Quintana of Charyn to be released in the U. S.). Thanks! Ten does look like a really good read. I haven't read a lot of mysteries/thrillers, so I'm eager to read it, too. 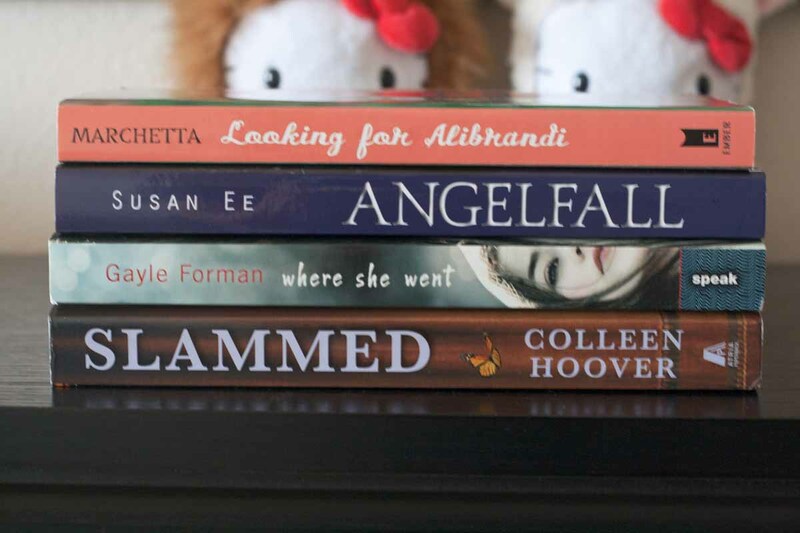 Just added Slammed to my TBR shelf on Goodreads, I keep hearing great things about it! Can't wait to see your review =). Also, LOVING the little Hello Kittys in the back as well lol. I've been dying to read Slammed ever since I heard about it and am thrilled to finally own a copy! Awesome Haul this week, Girlies!!! Can't wait for your reviews on TEN and The Violet Fox! Ally and I are both looking forward to reading The Violet Fox- we do love our fantasy books! I saw an ad announcing the paperback version in Entertainment Weekly, and I ordered it from Amazon immediately.